CLEVELAND -- Life as a sports fan in northern Ohio has been tough over the years. Sleepy Hollow Golf Course has been ranked among the top municipal courses in the country by Golfweek. Cleveland has waited longer than any other city with at least three major sports franchises to win a title. The last time a Cleveland professional sports team won a championship was 1964 when the Browns won the NFL Championship in the pre-Super Bowl era. The Cleveland Indians last won the World Series in 1948, the second-longest drought in baseball behind the tragic Chicago Cubs, and the Cleveland Cavaliers have never won an NBA championship. The city even had a short-lived NHL hockey team, the Barons, that never won anything, either. LeBron James led the Cavaliers to the 2007 NBA Finals, the city's first championship game since the 1997 World Series, but the King and Co. were swept by the San Antonio Spurs. It's no wonder ESPN named Cleveland the most tortured sports city in America back in 2004. The lone bright spot in the region's sports scene has to be golf. The greater Cleveland area offers some of the state's finest public courses, especially within its value-laden Metropark system. 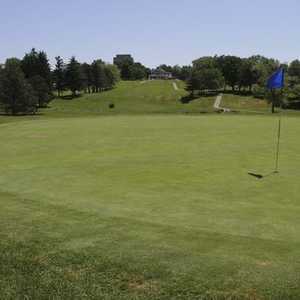 In 2012, Golf Magazine ranked five area public courses among the top 10 in the state: Little Mountain Country Club (No. 2), Stonewater Golf Club (No. 4), Fowler's Mill Golf Course (No. 5), Sleepy Hollow Golf Course (No. 7) and Hawthorn Valley Country Club (No. 8). Sports fans would be wise to put away their TV remotes and get outside with their clubs. Golf can be a heart-breaking game but not nearly as painful as watching the Browns, Indians and Cavaliers lose again. Ellsworth Meadows Golf Club is a 6,831-yard, par-71 course owned by the city. It features a nice mix of rolling terrain, tree-lined holes, ponds and streams to make for a fun round. The best risk-reward scenario plays out at the par-5 17th. Central Ohio's Michael Hurdzan and Dana Fry made 6,616-yard, par-70 Little Mountain Country Club a real gem. The five par 3s and the deep bunkers are the signature of this scenic place. Hawthorne Valley Country Club is a Donald Ross classic. This former private club, opened its doors to the public in 2010, showcasing its tight fairways and tiny greens. Scoring well on the 6,533-yard par 70 is no easy task. The newer, 6,634-yard, par-72 Legacy Course at Sweetbriar Golf Club was built to complement the original Sweetbriar Course, a 6,006-yard par 70 that opened in the 1960s. The front nine of the Legacy, completed in 2002, offers a links feel, while the back side, completed in 2007, plays through more traditional woods. A grand, modern clubhouse greets players visiting Grey Hawk Golf Club, a brawny, 7,110-yard layout by Robert von Hagge. Water figures prominently into a player's plan of attack, especially at the intimidating island green at the par-3 11th. Three par 3s and three par 5s highlight a dramatic back nine. 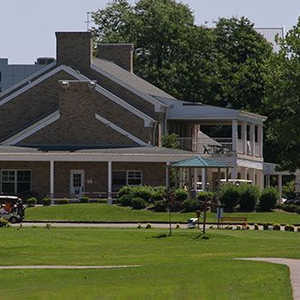 Founded in 1970, the 6,936-yard, par-70 Windmill Lakes Golf Club is the home of the Kent State University men's and women's teams. Long par 4s and seven lakes test the Golden Flashes every day in practice. Canadian legend Stanley Thompson designed the 6,723-yard, par-71 Sleepy Hollow Golf Course in the Cuyahoga River Valley in 1925. Elevated tees provide some nice views on this Metropark course, ranked No. 19 in the country among top municipal courses by Golfweek. This 6,524-yard Metropark course in the Rocky River Valley was originally designed by Thompson but has been altered over the years. Big Met Golf Course is believed to be Ohio's most played golf course, hosting more than 6 million rounds since 1926. You could be next in line for a nice walk in the park. The 6,641-yard Manakiki Golf Course is a timeless Ross course shaped by stimulating changes in elevation. Restoration efforts continue to keep it among the must-play Metropark golf courses. Shawnee Hills Golf Course doesn't have the history of a Manakiki or the length of a Big Met, but it has other charms. The facility expanded to 27 holes in 1989, including a regulation 6,366-yard, par-71 course and a separate par-3 course. The par-4 fourth, a converted par 5 that doglegs to the left, plays nearly 470 yards uphill through trees.